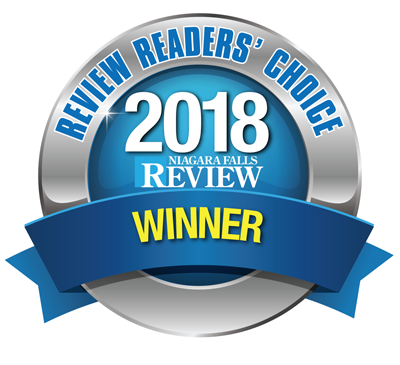 The One Stop Fireplace Shop Limited is retail leader in Niagara for indoor and outdoor fireplaces, wood stoves, barbeques and other dependable hearth products. This business has been providing the Niagara Region with the latest innovations in home opulence for the past 30 years. The One Stop Fireplace Shop Limited offers expert advice, dependable service by their own licensed installers and thorough product knowledge. We carry accessories for every occasion , trees, water fountains, gift ideas, BBQ's, fireplaces, and much much more. Come in and visit our showroom. Our One Stop Fireplace Shop understands that you will have many questions and concerns. We direct all our efforts towards satisfying your needs in a professional and responsible manner. We care about you and respect your desire for quality when it comes to your home. Thorough estimates, expert advice, dependable service, comprehensive product knowledge, and the best guarantee in the business are just some of the features that have helped build our reputation for customer satisfaction. It is these satisfied customers that have made our business a success. Thanks to the continued loyalty of our clientele, we are the largest fireplace specialty store in the region, with over one hundred fireplaces on display. Whether it's a typical installation or a difficult custom job, we bring our experience right into your home with our licensed gas technicians . Our partnership with fireplace manufacturers is a clear reflection of our desire for outstanding, reliable quality. The One Stop Fireplace Shop will work for you, delivering effective fireplace solutions and dependable quality. Come visit our showroom. Let the One Stop Fireplace Shop team guide you through our extensive product line and help you choose the fireplace that is right for you.